To receive a permit to install plumbing in Hamilton County (excluding City of Cincinnati), residential plumbing installers must be bonded and registered with Hamilton County Public Health. In some cases, homeowners may be able to obtain the permit and complete the work themselves. Hamilton County Public Health requires all plumbing contractors (for both residential and commercial) to have an OCILB license. Licensee listings can be viewed at http://www.com.ohio.gov/dico/ocilb.aspx. have Ohio Contractor Industry Licensing Board (OCILB) state License (proof of license is required to obtain permit). Call (614) 644-3495 for more information. 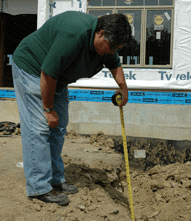 You must have a building permit number before a plumbing permit can be issued. Contact your local building department for more information. All workers installing plumbing must be a Norwood licensed journeyman plumber. Norwood also requires all plumbing contractors to register with the city. Call (513) 458-4510 for more information.